Energy Audits are surveys which are done from time-to-time on a home, whose purpose is to find ways to reduce energy consumption of a particular home. 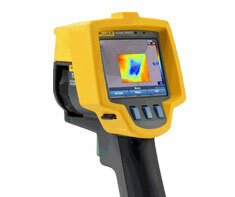 An Energy Audit is typically done by a trained professional, who has specialized equipment and training. As new technologies are developed, new ways to save energy can be found. In addition, these surveys can identify problems with current operations (stuck vents, loose insulation, etc.) that can be causing energy losses. Energy Rates, Garbage Rates, Insurance, Mortgage Rates, Tax Assessment and Telecommunication Rates. Shown in the 'Routine Care' section are the recommended routine maintenance tasks for your energy audits. The 'Q & A' section shows answers to common questions. And the 'Articles' section provides helpful articles about your energy audits.